Even if you spent every waking moment of your day digesting information, odds are you’ll come across a subject you know little about. Avoid feeling left out or seeming ignorant by reading our Fake It to Make It segments. In this edition, we’ll be focusing on the game of baseball! Whether you are talking or not, body language says a lot. Act like you know what you’re talking about, and they’ll follow your lead. Not every conversation needs your input. Sometimes it’s better to nod and smile with a “Hmm, that’s an interesting point of view,” facial expression. On the other hand, don’t silently sit there during the entire conversation. Your friend or coworker will expect you to engage with them at some point. Try to remember something you do know about baseball and wait for the right moment to drop some knowledge on them. Just because you know that Babe Ruth believed he was a year older than he really was for most of his life, does not mean it’s important to this conversation. You’ll definitely look uninformed, if you throw out random facts. It’s better to play it safe and to stick with what you know. A favorite team or player is always a good go-to topic during a sports conversation. Just make sure that you know about them before you profess your love in front of your friends. Having incorrect info about your “favorite” player makes things awkward real quick. Thanks Yahoo Sports for this nifty summary of important things to know pertaining to the 2015 baseball season. 9. Above all, have fun! Even if you slip up or have no idea what’s going on, just laugh at yourself a little and brush it off. No one is perfect after all. 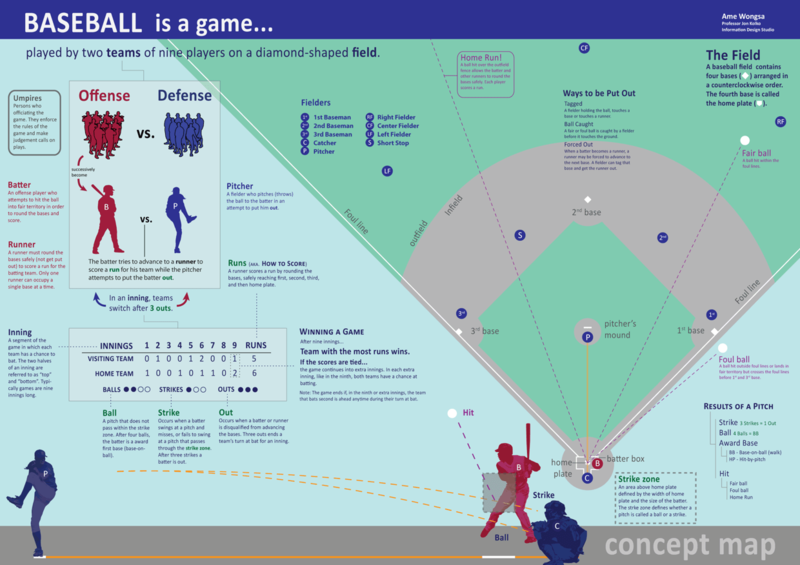 We hope these tips will help you get through a baseball conversation, game or even the entire season. Remember, these are just tips. If you have the time, it’s always better to genuinely know about the topic, so go to games, read a book or chat with a friend that is extremely into baseball. You’ll get even more out of your experience!